Saxophonist Eric Lau serves as Professor of Saxophone and Chair of the University of New Mexico Department of Music. An active recitalist, Dr. Lau has given concerts throughout the United States as well as in Europe, Puerto Rico, and Brazil. 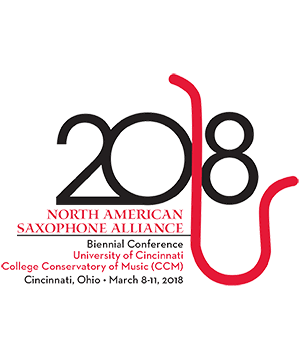 His commitment to new music has led to the commissioning of more than a dozen new works for saxophone by composers including David Maslanka, Roshanne Etezady, Gunther Schuller, Michael Colgrass, and Ida Gotkovsky. As baritone saxophonist with the nationally acclaimed Iridium Quartet, Dr. Lau has had the pleasure of working with award-winning composers Michael Colgrass and Martin Bresnick as the ensemble-in-residence at the John Donald Robb Composers’ Symposium. Recent premieres include works by Roy Magnuson, Peter Gilbert, and Karola Obermüller. Iridium released its first CD, Into Xylonia, featuring new American music for the saxophone through an Aaron Copland Fund for Music Recording Program Grant. The Silver Reed Duo consists of flutist Jennifer Lau and saxophonist Eric Lau. With 15 years of performance experience, the duo is dedicated to promoting mixed chamber music including the flute and saxophone. The Silver Reed Duo has performed at the Puerto Rico Conservatory, the Universidade Federal do Paraná in Brazil, the National Flute Association Convention, the North American Saxophone Alliance National Conference, and the World Saxophone Congress. Jennifer Lau Flute Flutist Jennifer Lau is on the faculty of the University of New Mexico and has performed with the Ne . . .